If you’re looking to get some extra color during the less sunny months or get your skin ready before heading out for vacation, we’ve got you covered. Some of the best professionals in the business will help you choose which beds and lotions will give you maximum bang for your buck! SunSeekers By Rosie is one of Wisconsin’s favorite tanning salon chains. They have over 10 locations across the state. You’ll love the ambiance at SunSeekers, but you’ll love your sun kissed glow even more. 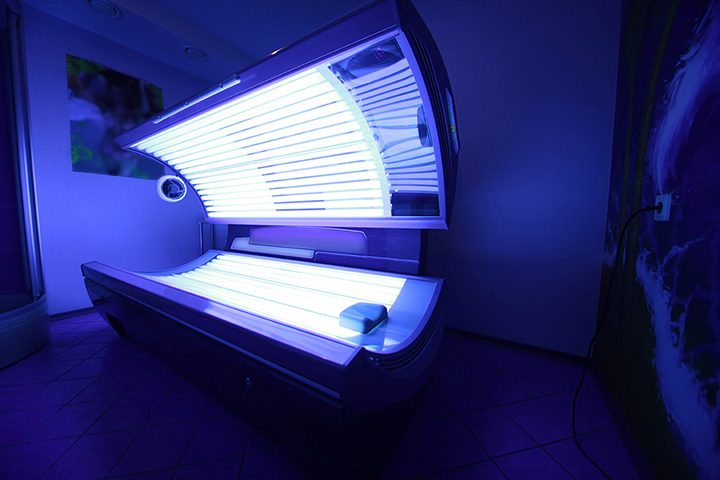 Check out their five different tanning level beds. Soleil Tanning Salon in Racine offers a new VersaSpa spray tanning as well as their traditional sun beds. Try out any one of their ten tanning beds for the perfect summer glow right in the middle of the winter. Also, be sure to ask about their skin care line. The Tanning Studio has three area locations—Weston, Plover, and Wausau. You’ll enjoy the ability to tan at seven different tanning levels or enjoy their sunless tanning options. The Tanning Studio does one better and offers a sauna and other accessories! Tropical Tan locally owned and operated is Kenosha’s favorite tanning salon. They offer seven levels of tanning as well as a VersaSpa spray tan booth. You’ll love the family atmosphere and customer service you’ll get at Tropical Tan in Kenosha. Forever Tan offers some of the best tanning in Eau Claire. Ask about their tanning lotions, oils, and packages. You’ll love how affordable tanning can be. Stand up, lay down, or enjoy their sunless tanning option. Get that summer glow at Sunset Tanning Spa in Minocqua, Wisconsin. You’ll love the salon’s aesthetic and design. They offer four levels of the newest-style tanning equipment including a My Myst spray tan booth. Save up by purchasing a Sunset Tanning Spa package. Family owned and operated, Tanfastic Tanning is the best in Brookfield. They’ve been successfully serving the Milwaukee area since 1997. Try their tanning beds, Redlight therapy, UV free Mystic Tanning. Whatever you’re looking for they have it for you! Everlasting Tan is your tanning location in Crivitz, Wisconsin. There are tons of different packages for you to choose from. They also offer lotions to extend your glow and moisturize your skin. You’ll love the customer service you receive at Everlasting Tan. Check out Sol Sisters Tanning in Eau Claire for a great price on a sun kissed glow! They offer tanning packages and monthly specials. Ask about their spray tanning that allows for a seamless tan look. Their tanning lotions are the best the business has to offer. Tan without the sun here at Beach Bum Tan. Their TheraSauna is the perfect way to unwind after a long day. They offer four different levels of tanning beds, choose between standing up or lying down. If you sun isn’t for you, their Mystic Tan is the perfect option.